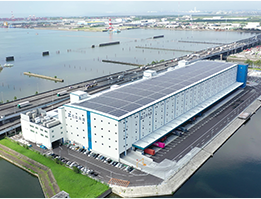 The total capacity of our warehouses is approximately 500,000m2 in the Port of Nagoya area, where the actual tonnage of cargo handled is bigger than any other Japanese ports. Your specific product can be stored and handled in our specific warehouse; i.e. 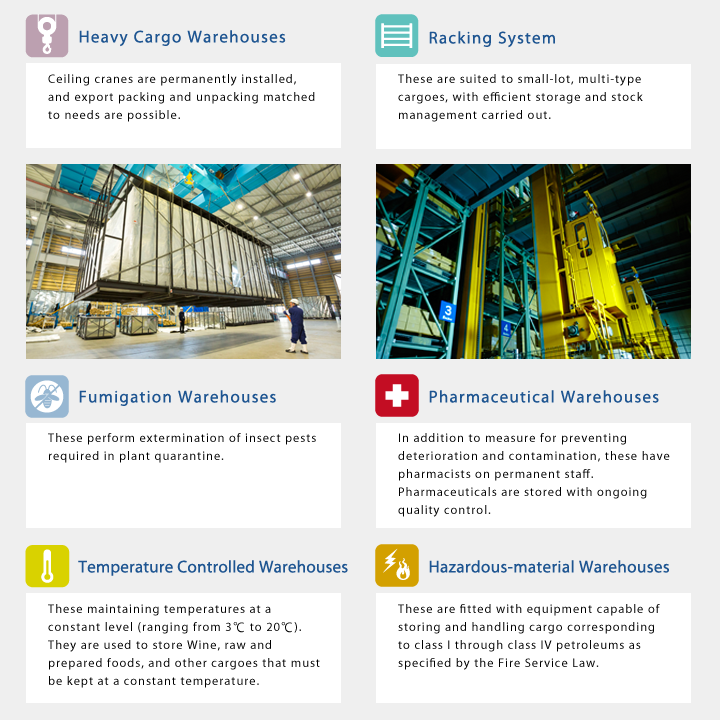 heavy cargo warehouse, fumigation warehouse, pharmaceutical warehouse, temperature controlled warehouse, and rack warehouse. Without the logistics center being capable of sorting and delivery, your retail business can never be successful. 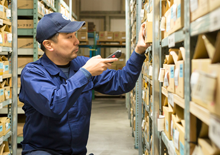 With our capability to store, inspect, sort, label, and pack your product in our own warehouse, being followed by own trucking service , we are ready to become your total logistics center.